It is on the banks of its rivers that India’s civilisation and its cities emerged and were nurtured. Population pressures and developmental imperatives may have led to over exploitation of our rivers and groundwater, but poor planning and wilful neglect breaking the organic links between rivers, nature and people is no longer acceptable. India is heading for a grave water crisis and remedial measures cannot be postponed. Irrigation accounts for nearly 80% of water demand followed by drinking needs, industry and energy sector. On the demand side mitigatory steps like changing cropping patterns, curbing wasteful practices, and promoting renewable energy must be stepped up. One clear indicator of strain is annual per capita water availability. This was 5177 cubic metres in 1951 which declined to 1545 cubic metres in 2011, against the international threshold for water stress pegged at 1700 cubic metres. However, National Institute of Hydrology pegs India’s utilisable per capita water availability at just 938 cubic metres in 2010, and expects this to drop to 814 cubic metres by 2025. Among the solutions proposed to rejuvenate rivers is their interlinking so that surplus in one river can be transferred to another. The science behind this is very dubious. Yet governments appear keen to pilot such expensive engineering feats. The Rs 18,000 crore Ken-Betwa interlinking project could destroy 10,000 hectares of forests, with nearly half of that in the Panna Tiger Reserve. Forests are of course critical catchment areas for rain-fed rivers. It’s best to avoid such schemes that could do more harm than good. In safer waters, the Rally for Rivers campaign has proposed that a one kilometre wide belt along river banks be reserved for generating tree cover. The Compensatory Afforestation Fund Act will make Rs 6,000 crore available annually to state governments, atop a corpus of Rs 42,000 crore that went unspent for years. These monies could be devoted to firm up tree cover along the rivers, which would deliver environmental, social and economic benefits. Pollution of rivers through discharge of industrial effluents, municipal waste and generation of thermal energy must also be checked. 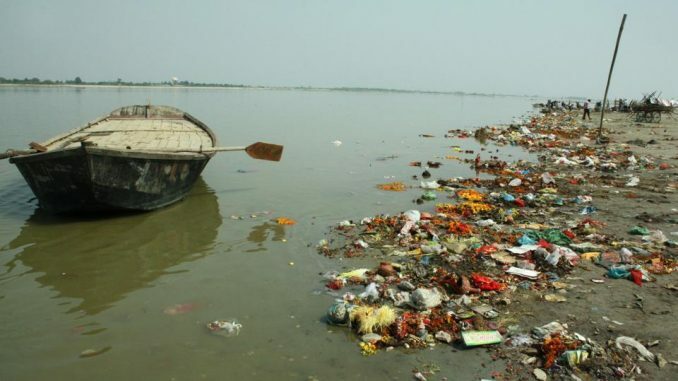 The Centre’s Namami Gange programme must deliver results soon. Much onus is also on state governments as water is a state subject. Act now or prepare for desertification.